The sensation of tingling in hands can have multiple medical causes. Typically, this sensation occurs for minor reasons, such as a temporary obstruction of blood flow due to resting on your hands or arms, or the temporary compression of nerves due to carrying a particularly heavy object. However, it is important to monitor the sensation of tingling in hands and to seek immediate medical attention if the sensation persists. While tingling in hands can be uncomfortable, it is not necessarily cause for immediate alarm. This sensation typically passes quickly and is part of the body’s natural reaction to compressed nerves or blood vessels. You might recognize it as the “pins and needles” feeling in the skin and muscles after resting on a limb for too long, after waking up from sleeping in an odd position, or perhaps after over-exerting yourself during your regular fitness routine. If the sensation of tingling in hands does not go away, however, there can be multiple underlying causes, and it is recommended that you seek out immediate medical attention. Below are a few of the more serious causes that you may wish to consult a medical professional about. Swelling – Buildup of fluid in the hands can compress both nerves and blood vessels and trigger a tingling sensation. In this case, it is important to identify the cause of swelling, as it may indicate an underlying medical issue. Carpal Tunnel Syndrome – Overexertion of the wrist can lead to the thickening of the muscles which surround the primary nerve leading to your thumb and fingers. This is a chronic condition that can be treated by medical professionals. Peripheral neuropathy – Long-term tingling in hands can also indicate potential damage to the spine or nervous system. In this case, the sensation typically worsens over time as the damage continues untreated, which is why it is critical to consult a professional if it persists. Rheumatoid Arthritis – The irritation and inflammation of small joint lining in your hands can produce a tingling sensation, which is often confused with other medical causes and is sometimes misdiagnosed as carpal tunnel syndrome. Treatment for this condition focuses on preventing further damage to the joints while controlling the symptoms of tingling (and potentially pain). If you are experiencing persistent tingling in your hands, it is important to seek medical attention to rule out any underlying cause. 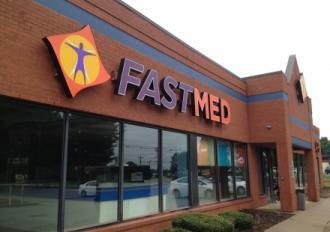 FastMed is open 365 days a year, 7 days a week, and our team of dedicated medical professionals are dedicated to providing you with personal and convenient care in a clean and welcoming environment. You don’t have to have an appointment to be seen by a medical professional, so if you are experiencing tingling in your hands, visit a FastMed near you for prompt treatment.